Smartwatches don't have to look ugly to be functional. Clothing and accessories designers are collaborating with engineers to produce computerized wristwatches. The designers hope people will want to wear them day and night. Apple is preparing to release a watch line that includes an 18-karat gold edition. So rivals know they need to think beyond devices that look like miniature computers. If the watches aren't attractive, the market won't grow beyond a small niche of users. "The big brick on the wrist is not what a fashionable person is going to wear on a day-to-day basis," says Cindy Livingston. She is CEO of Sequel. It's a Timex business that makes traditional watches under the Guess clothing brand. That's especially true for women, she says. Many of the existing smartwatches are simply too big for their wrists. At the International CES gadget show in Las Vegas, Guess said it's partnering with Martian Watches. They will make a line of fashionable smartwatches. Guess took its leading line of traditional watches, Rigor, and incorporated Martian's technology. From a distance, the new Guess Connect watch looks like a Rigor. It has hands and a crown, or dial, on the right. Closer inspection reveals the addition of two control buttons. And a small, one-line display for notifications near 6 o'clock. LG, meanwhile, consulted with design experts and a sister company that makes fashion and home-decor products. Its first smartwatch was rectangular. That is primarily because of production constraints. A round model followed just months later. The Consumer Electronics Association projects that U.S. sales of wearable devices will reach 31 million this year. That is up 61 percent. Most will be health and fitness devices, such as step counters. General-purpose smartwatches are expected to reach just 11 million, or about a third of all wearable devices. That's more than quadruple what was sold in 2014. The high-fashion smartwatches will cost about $450 compared with $200 to $300 for typical smartwatches today. Those seeking specialized functions might not care about design. 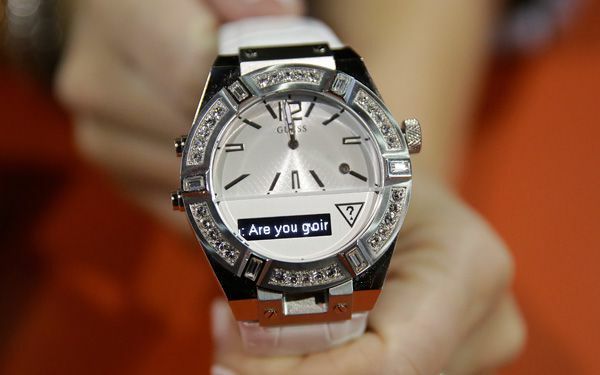 But those looking to wear something around the clock might, says Ralph de la Vega. He is head of AT&T's mobile and business solutions division. Critical thinking challenge: What makes a smartwatch smart"? I think smart watches were a good idea. I think they were a good idea because you just have to put one little thing around your wrist. I have an i pad mini and sometimes I don't like carrying it around because it is so big. 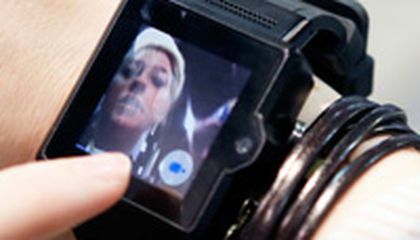 You can probably do everything on a smart watch that you can do on a i phone or an i pad. This is great for people who like to be fashionable and like to keep up with the latest technology, because they will get this all in with the much newer smart watches. To me this is too ridiculous, we already have technology taking over our daily lives that we barely look up to see the scenery, I've seen some strangers bump into more than 5 people in less than 10 minutes. I think we should stop producing new technology for a while even though this could be the Golden year for tech companies, come to speak of it, how many things has Apple produced? Too many for a single year. I don't see why many people thought that smart watches were just for geeks. They thought that just because many people saw only geeks wearing them but they aren't it is for any person.It is for anyone if you're not smart or if you are it is recommended for everyone. The smart is a great innovation because one smart watch can answer calls and send texts and do many other things that are useful to the people of today. We need anything and everything that could be useful to us. Our country needs to get back on track with financial and the government needs to learn how save their money and spend it on things the country needs. In my opinion, this is crazy. Why does todays society need to have a wrist watch that does everything their smart phone or computor or tablet does? This is starting to get out of control, I mean do people really want to spend $200-500 on an accesory? If they were thinking they coud use that money for actually usefull things. I dont understand how people can say how broke they are, and complainabout bills then go out and buy some over rated, piece of non-sence. That is very cool watch. I need to get me one of those. Your article was very descriptive. The price on those are crazy. That's very cool if they start making the out of gold. The technology make a smart watch smart. People who created a smart watch make a smart watch smart. Some of the technology is advanced. They are more like miniature computers.